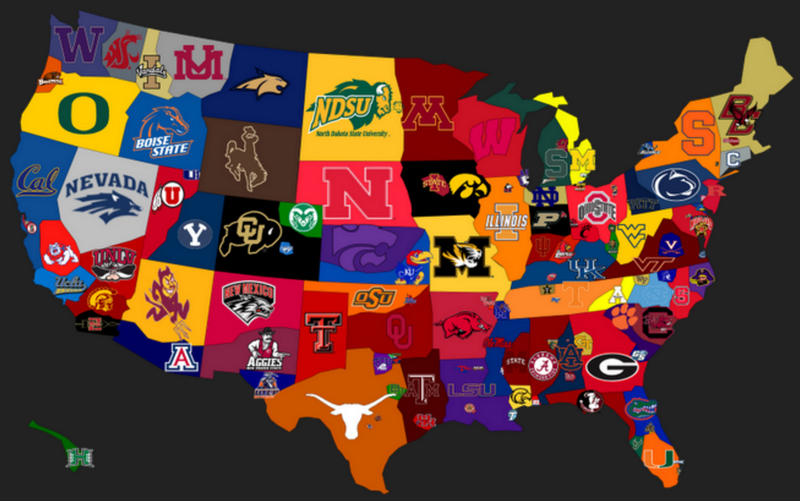 College Football Picks are back and better than ever. I went 3-2 this week and we are still in the green for the year. Me being completely wrong on Oklahoma has become a weekly tradition, might just have to make sure to pick Oklahoma every week, they have a bye this week, so it might start next week. The Tigers dropped their second loss of the season last week against Stony Brook. The Tigers take on Villanova this week and this game is going to get funky. The last two years, the team at home has won the game. I will take Towson to win the game, because they are the home team in this game of two middle of the CAA pack teams. The Aggies bounced back and got a big game last week against Arkansas in Jerry World. This week’s game is going to be a tough one for the Aggies and there is a very good chance they will lose this game. I will take South Carolina in this game against the spread. You have to be an idiot to bet against Wisconsin in September and also an idiot if you bet them in October. Saturday is September 30th, which means I LOVE Wisconsin and the points in this game. Notre Dame is really bad and there is no way they are going to blow anyone out. I actually think Miami (OH) can win this game outright. I will take Miami(OH) in this game, both outright and against the spread. Clemson is actually good and Virginia Tech is fake good. I like Clemson to win the ACC and will take them and the points in this game. The picks for this week are Towson, South Carolina, Wisconsin, Miami (OH), and Clemson. I will see you next week.